Anais Hendricks, fifteen, is in the back of a police car. She is headed for the Panopticon, a home for chronic young offenders. She can't remember what's happened, but across town a policewoman lies in a coma and Anais is covered in blood. Raised in foster care from birth and moved through twenty-three placements before she even turned seven, Anais has been let down by just about every adult she has ever met. Now a counterculture outlaw, she knows that she can only rely on herself. And yet despite the parade of horrors visited upon her early life, she greets the world with the witty, fierce insight of a survivor. 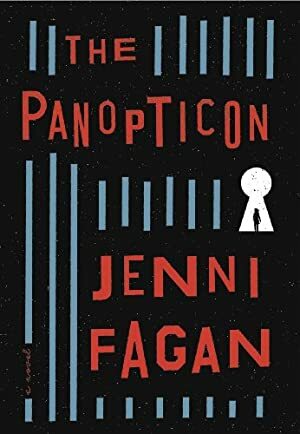 Anais finds a sense of belonging among the residents of the Panopticon -- they form intense bonds, and she soon becomes part of an ad-hoc family. Together, they struggle against the adults that keep them confined. But when she looks up at the watchtower that looms over the residents, Anais realizes her fate: She is an anonymous part of an experiment, and she always was. Now it seems that the experiment is closing in. We started tracking this book on April 25, 2013. This book was $10.99 when we started tracking it. The price of this book has changed 66 times in the past 2,187 days. The current price of this book is $12.99 last checked one day ago. The lowest price to date was $1.99 last reached on July 10, 2016. The highest price to date was $14.99 last reached on February 13, 2018. We last verified the price of this book about one day ago. At that time, the price was $12.99. This price is subject to change. The price displayed on the Amazon.com website at the time of purchase is the price you will pay for this book. Please confirm the price before making any purchases.